The identity is clear and gives the information easily. 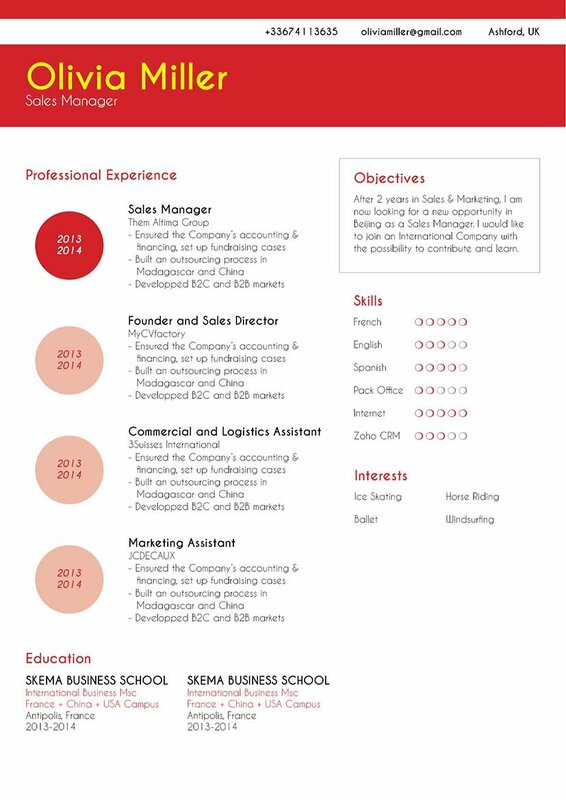 CV template to download "Fearless"
The Fearless Resume does a perfect job in showcasing your work background and skills! This good resume example has a functional and eye-catching design that is perfectly applicable to any job type and is ideal for applicants with solid educational and professional history as it shows all the information relevant to the job in a well-detailed format. This is further complemented by your skills and interests which will provide support for your job qualifications. How can you attract the eyes of your potential employer? 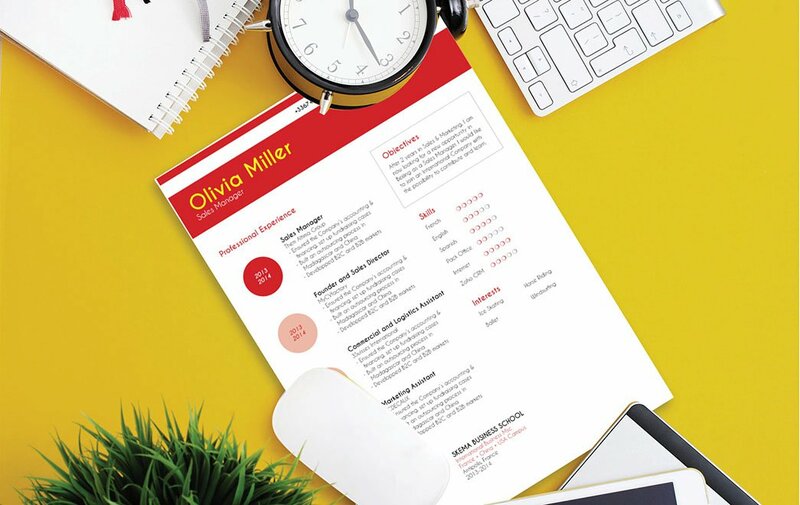 All you really need is an effective and functional resume design. That resume of yours is sure to help you land that dream job! Since resumes are screened in such a brief amount of time, it is imperative that it captures the reader's interest and spark a desire to speak with you personally. To achieve this, use simple yet professional looking fonts such as Seriff or Sans Seriff fonts, choose a font size between 11 and 12, and use italic/bold font style to guide the reader's eyes along your resume with ease. The use of graphics and symbols will highlight the key parts of your resume, while headings and subheadings can make your resume easier to read since it gives it a more logical format to follow.